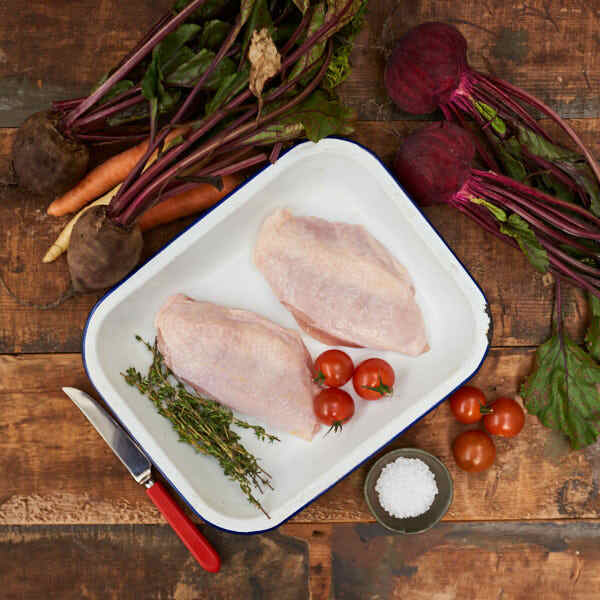 A family mealtime favourite, our Chicken Fillets with the skin on are delicious when pan roasted to give a juicy meat and crispy skin. Pan roasting is actually a great way to cook any cut of chicken and works beautifully for these tasty cuts. 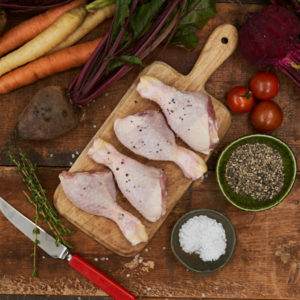 For a quick way to cook chicken breasts, season the skin generously with salt and pepper. Place the breasts skin side down in a pre-heated, oiled, ovenproof frying pan. Cook without moving or lifting until the skin is golden and crispy. Carefully turn the chicken breasts. Add a couple of large tablespoons of butter and a few sprigs of thyme, when the butter has melted, baste the breasts and then place the pan in a pre-heated oven until the chicken is cooked through. 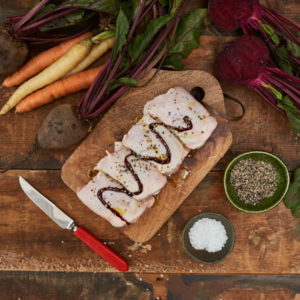 Serve with the thyme butter and a generous squeeze of lemon juice.